An Armstrong number or Narcissistic number is a n digit number such that the sum of its digits raised to the nth power is equal to the number itself. For example, Let's take an armstrong number: 153, which is 3 digit number, here 13 + 53 + 33 is 1 + 125 + 27 which is equal to 153. 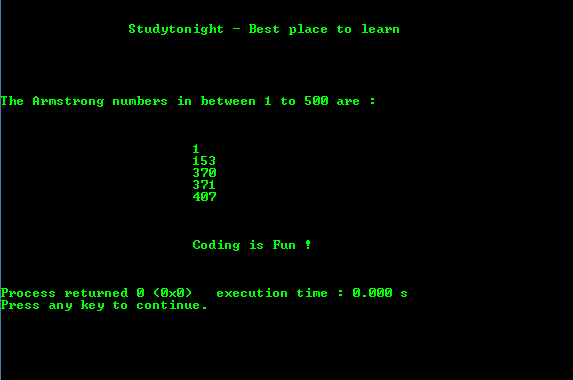 Below is a program to find armstrong numbers between 1 to 500. 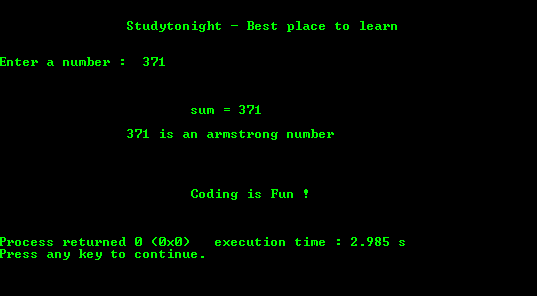 Below is a program to check whether a number is armstrong or not.